This entire Criminal System is a full blown Cancer and if, “People Like Us”, don’t help with this struggle to wake up society and surgically remove this cancerous cell than we have no one to blame but ourselves. Society needs to understand that they are “people like us”, we are those who made mistakes and those who didn’t. 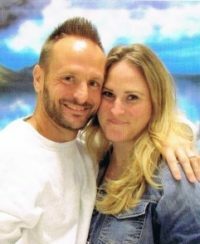 The world has to realize that they are the doctors who are unique and gifted enough to correct the Department of Corrections. You then will begin to help surgically remove some of this overwhelming, criticism, injustice, and propaganda that society has placed on individuals that’s incarcerated. See today, I sit here and ask myself, do majority of the youth? and 70% of the population know who James Wilson was? if not,he was one of the first five Justices, he was America’s leading lawyer and one of only six men to have signed both the Declaration of Independence and the Constitution. Also, do majority of society know who James Iredell was? he was an Associate Justice appointed by G.Washington to the Supreme Court on February 10, 1790. I know some might say, what does this have to with us, right? Well my answer to that is; in order to fight or attact any disease and try our best to conquer it, you have to attack and fight it at its root. See, I read this book, called “people like us”, by Dr. Novak, which is a great and beautiful read. So if anyone wanted to know where I got my title from,I suggest whoever dear to read that wonderful piece. We’re Still Somebody, by Troy McRae Jr.